My comrades and leaders; as this is Women’s Month, it is most appropriate that I wish all the women present “Happy Women’s Month”! Ladies and gentlemen, I am immensely humbled to receive this award during this special month of August. Let me put it this way; it is of significance to me. It would be remiss of me to accept this award without paying tribute to our fallen heroines, and also those who are still here with us in this world. As I was born in Soweto and both my parents were teachers at Musi High, thus I would like to pay special tribute to all those heroines who came from Soweto, amongst many others, Mama Winnie Nomzamo Mandela, Mama Albertina Sisulu, whom we acknowledge this month and Marina Maponya. 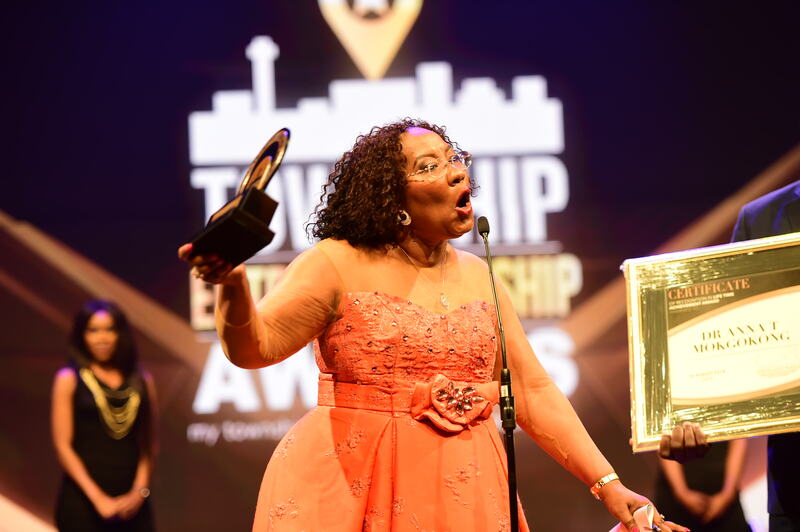 Allow me to talk a bit about Marina Maponya; she was a role model for us in business as she was an eminent businesswoman, who together with her husband ran a flourishing business in the township of Dube those days. She was honoured with a ‘Businesswoman of the Year Award’ in 1982. I’m very passionate and sensitive to the subject of township enterprises, as my humble beginnings were as a township entrepreneur. I established my first formal business whilst studying medicine in Garankuwa. As I honour these esteemed women from Soweto, I also look up to them in many ways; their deep community involvement in business and humanitarian virtues. They cared for their communities, and as women, we ought to emulate such characters to be able to serve our country, to make a difference and take our country to another level. We all know that an effective leader should lead by influence and not authority; and certainly, these women influenced me in their leadership style. They were courageous brave, fearless, focussed, and determined and knew exactly what their goals were. They were unstoppable in their mission. What all our heroines strived for was to create a foundation for women to have a bite in all affairs of our nation. We can see how they contributed significantly in academia, politics, business, community affairs and other fraternities. In this instance tonight, I want to focus on the subject of business. These heroines influenced policy and as a result, it created a conducive environment for us to be where we are today. Now I would like to say to them, wherever they are - “it was a battle worth fighting for”. Here we are - some of us - privileged to be at the helm of leadership of corporate South Africa. Lastly, Honourable MEC Maile, I commend your true spirit of leadership, here in Gauteng, and that of highlighting the plight of township entrepreneurs and seeking to revitalize the ailing and decaying township economy. The township economy underpinned black business during the dark days of apartheid. There were a plethora of services rendered within that environment, and this is where the likes of Dr. Nthato Motlana, Gibson Thula and many others emerged, later moving - post-apartheid - into corporate business. Those were the doyens of black business! Dr Motlana - and a group of black investors established Lesedi Clinic, the first private clinic in Soweto; and also in Mabopane, I was part of group that established Legae Private Clinic. Many black professionals thrived by doing business in the townships, serving the township communities. After the birth of democracy in 1994, the focus was shifted into the corporate world and the emergence of black economic empowerment, sadly and regretfully leaving township business to suffer. This was the livelihood of our people, and what we’ve seen most recently is the growth of corporate South African retailers creeping into the townships, upsetting the balance of the existing township business ecosystem. My opinion is, these corporates in the townships should actually be catalysts for revitalising township economy through interventions such as putting legislature in place and enforcing it to enable township businesses such as farming, manufacturing, real estate, a fund for equity support and various industries to thrive in the townships. Also consider certain licenses or permits reserved only for locals and support gender equality as well as youth development. To be able to achieve all these great brief dreams I have mentioned, partnerships with state financial institutions should all play a significant role in funding. Honourable MEC, I could go on and on, unfortunately, I have limited airtime! This is just a teaser of my thought process. I need more time to be able to unpack it further. 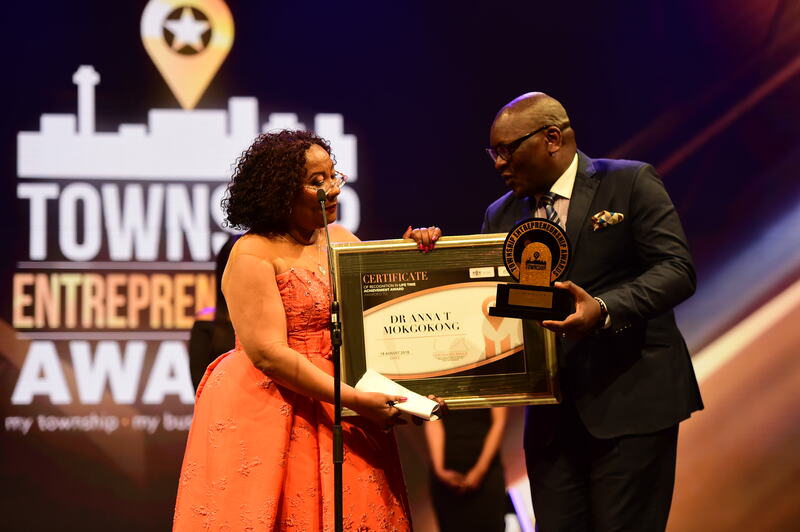 And in conclusion, thank you Gauteng for this award, I am very grateful for this recognition, and once more I would like to reiterate that I am humbled and honoured to receive it. This award will inspire me, motivate and encourage me to forge ahead with my mission, in this world of contributing; to transforming the mainstream economy of our country; which I believe would be catalytic to bring about change in our communities through my leadership influence on issues. I wish to thank my family, friends and the CIH team who have supported me throughout. My partner Joe, aluta continua – we can begin to see the fruits of our hard work, this recognition being one of them! My children, Tokelo, Dineo and Neo, my nieces Zenani, Lindelwa and my brother Joe who is here tonight representing my other siblings and my late parents – please continue to pray for me daily and encourage me daily. To the Almighty, to you be all the honour and glory, and let thy will be done! To the women of my country, let us forge ahead and conquer. We have struggled in many ways it is now time for us, let us seek to reap the benefits of our struggle.